Amanda Flower charms us with another tale featuring a magical garden! 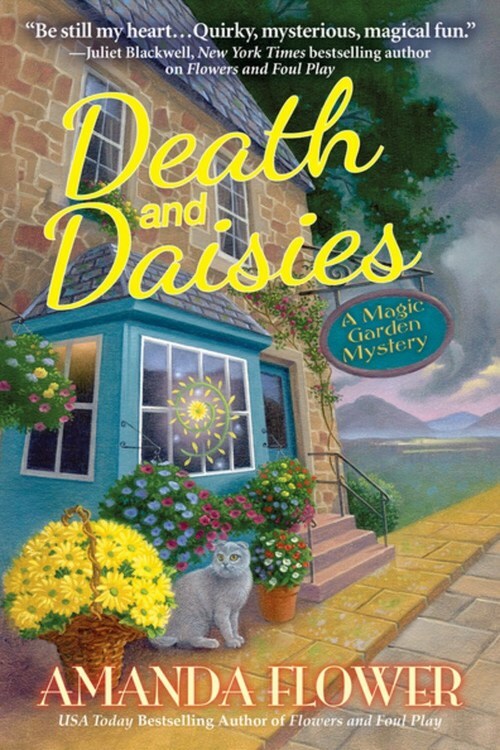 Florist Fiona Knox left behind her gloomy life for a magical garden in Scotland, but a murder on her shop�s opening day spells doom. Fiona Knox thought she was pulling her life back together when she inherited her godfather�s cottage in Duncreigan, Scotland�complete with a magical walled garden. But the erstwhile Tennessee flower shop owner promptly found herself puddle boot-deep in danger when she found a dead body among the glimmering blossoms. One police investigation later (made a trifle less unpleasant by the presence of handsome Chief Inspector Neil Craig), and Fiona�s life is getting back on a steady, though bewitched, track. Her sister Isla has just moved in with her, and the grand opening of her new spellbound venture, the Climbing Rose Flower Shop in Aberdeenshire, is imminent. But dark, ensorcelled clouds are gathering to douse Fiona�s newly sunny outlook. First, imperious parish minister Quaid MacCullen makes it undeniably clear that he would be happy to send Fiona back to Tennessee. Then, a horrific lightning storm, rife with terribly omen, threatens to tear apart the elderly cottage and sends Fi and Isla cowering under their beds. The storm passes, but then, Fi is called away from the Climbing Rose�s opening soiree when Kipling, the tiny village�s weak-kneed volunteer police chief, finds a dead body on the beach. The body proves difficult to identify, but Kipling is certain it�s that of the parish minister. Which makes Fiona, MacCullen�s new nemesis, a suspect. And what�s worse, Isla has seemed bewitched as of late�did she do something unspeakable to protect her sister? The last thing Fiona wanted to do was play detective again. 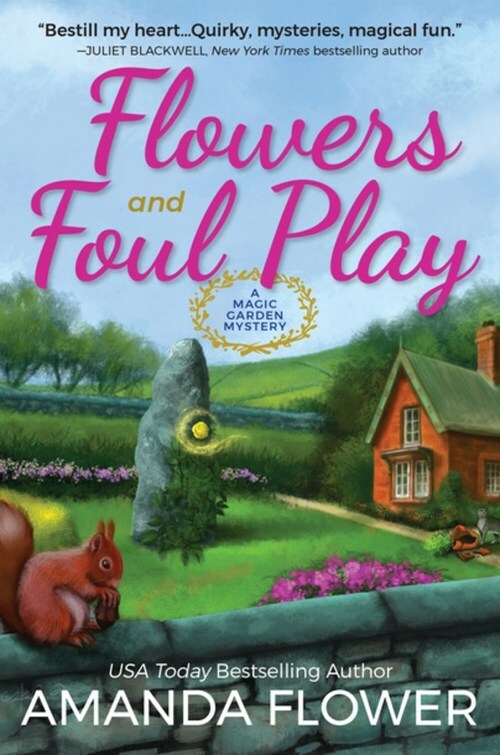 But now, the rosy future she�d envisioned is going to seed, and if she and Craig can�t clear her name, her idyllic life will wilt away in Death and Daisies, national bestselling author Amanda Flower�s second enchanting Magic Garden mystery.